The opera in Bulgarian Danube city of Russe. A number of representatives of Bulgarian theaters have voiced staunch opposition to proposed reforms on the part of Bulgarian Minister of Culture Vezhdi Rashidov. The goal of the reform is to optimize Bulgaria's state-funded theater system and reduce spending by introducing cuts and mergers of theater entities. “The first signs of rebellion against the theater reform planned by culture minister Vezhdi Rashidov's team are already present,” writes Mediapool.bg, reporting on a number of occasions of protest by theater workers. Thursday Minister of Culture Vezhdi Rashidov officially published its vision for the reform, after it was presented at a cabinet sitting Wednesday. Young people in the southern Bulgarian town of Smolyan started protests Friday against a possible merger of the town theater with the Plovdiv theater. Smolyan youth have also won the support of mayor Dora Yankova, who has sent a letter of objection to Bulgarian PM Boyko Borisov. 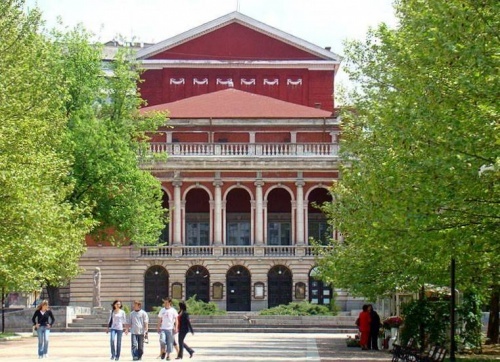 On their part, Plovdiv musicians have gathered over 3000 signatures from Plovdiv residents against the looming transformation of the Plovdiv Opera and Philharmonic Society. A similar situation can be seen in the Danube city of Russe, where a petition was started against a drastic cut-down of the local Opera and Philharmonic Society. The reform also involves theater mergers in capital Sofia. It is proposed that the Salza and Smiah (Tear and Laughter) theater – an institution that has established itself with a strong profile for comedy and satire – to be merged with the Bulgarian National Theater. Artists from Sofia Ballet Arabesque also came out with a protest letter against the merger of their troupe with the State Musical Theater. The proposed reforms involve a more flexible scheme of state funding of theater institutions, including delegated budgets and a stress on commercial profitability. There is a wide perception that proposed mergers are mechanical and ill-considered. Some also fear that withdrawal of state support will prove adverse to the Bulgarian theater world and criticize the state's overall feeble commitment to culture.